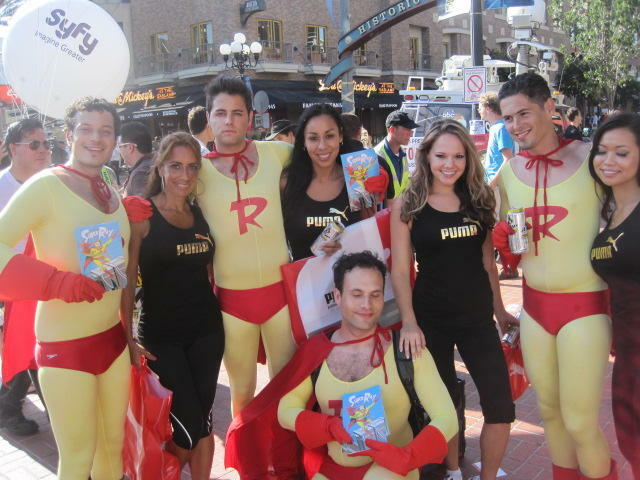 Provide client with promotional models for week-long street promo. All promotional models had to be: out-going, professional and attractive. All promotional models had to be local to San Diego market. Devolution Solutions was given 3 days to find, recruit&amp;hire talent, and get them pre-approved. Hire 5 attractive and outgoing ladies for the high-traffic promotion. Engage people on the street and distribute information and coupons. Encourage peopel to go to Puma’s store as well as their brand event that week. Remain enthusiastic and energetic for entire shift. Huge attendance for Puma’s Comic-Con Late-Night Event.